Our range of products include Cutting Wheels such as Rail Cutting Wheels and Special Cutting Wheels. These are Reinforced Metal Cutting Wheels and should be mounted on machines designed for their use. Our products can be availed at competitive prices in the market. We are reputed dealers for metal Cutting Wheels that are quality approved by the industry for its superior performance and accurate design. 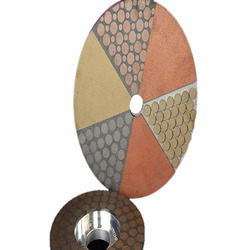 These cutting wheels are made using the latest metallurgical techniques and are precision engineered to suit the area of application to which they are applied. We have established ourselves as leading manufacturers, traders, wholesalers and suppliers of Rail Cutting Wheels in the market at present. These are designed for fixed rail track cutting, under a wide range of operating conditions. Available for use with newer higher-horsepower and older lower-powered machines. 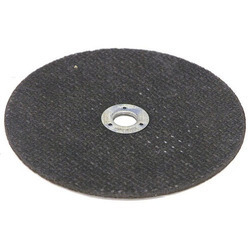 These reinforced cut-off wheels contain strengthening fabric or filament throughout the entire diameter of the wheel. It is required on any operation where the grinder is hand-guided (portable) or where the work is not securely clamped. These are made available to the customers at industry leading rates. These are provided as per the set industry norms and guidelines.